I would like to take this opportunity to thank every one of you for your generosity. The HelpDanielFly2 campaign officially ends tomorrow - 7th October and just so you know, this is the date your PayPal accounts or credit cards will be charged. I would also like to mention that we have today received a transfer of £3,382.60 from a UK charity called Resource Projects. In addition, I can also confirm that Rosemary Dodson, has raised £375 separately via her just giving page. That means the total raised is this second campaign is £5,706.60 This is just astounding. I am very grateful to all of you for making this possible. Costs have been a little higher than expected due to the need to extend Daniel’s training by two and a half weeks beyond 7th October (blame bad weather in York). 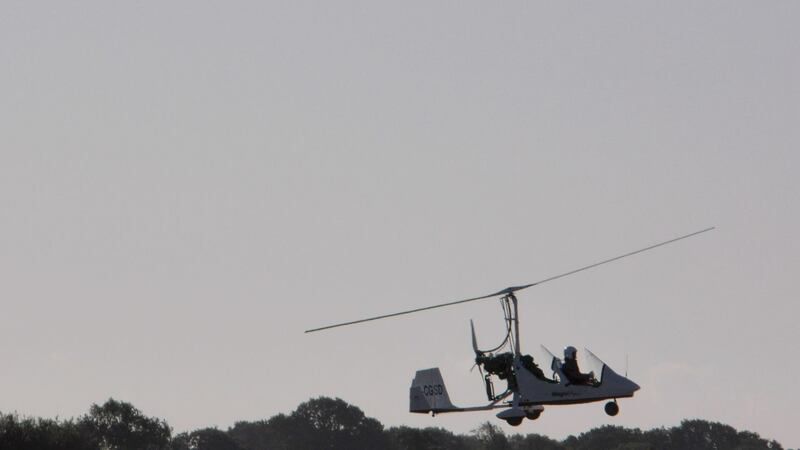 This has meant a higher price for his hostel accommodation and living costs but we're lucky to have raised more than our target and if there is any excess at the end we will direct it to the running costs of the gyrocopter back in Kenya. Daniel has been taking a couple of weeks off but returns to York tomorrow to resume training. He is scheduled to complete the training on the 25th and flies home the 27th of October. In the mean time, he has travelled around the South West - to Bristol, Bath, Wells, Weston Super Mare and he has walked a good chunk of the Mendip way! Today, Daniel met Gordon Buchanan, a wildlife film maker and TV presenter and the other day, he met and had a long chat with Alex Hibbert, a polar expedition leader, author and photographer. I think it is fair to say that Daniel has had a great adventure here in the UK and will be going back home with many stories for his friends and family. Thank you for changing this young mans life. I think he said in his email earlier this week that in return, he'll help protect the elephants. All for now.Alice. Daniel is now flying solo in a Gyrocopter! Exactly a month from the day that Daniel first landed in Birmingham Airport on the 12th of August, I am pleased to announce that he is now flying solo. 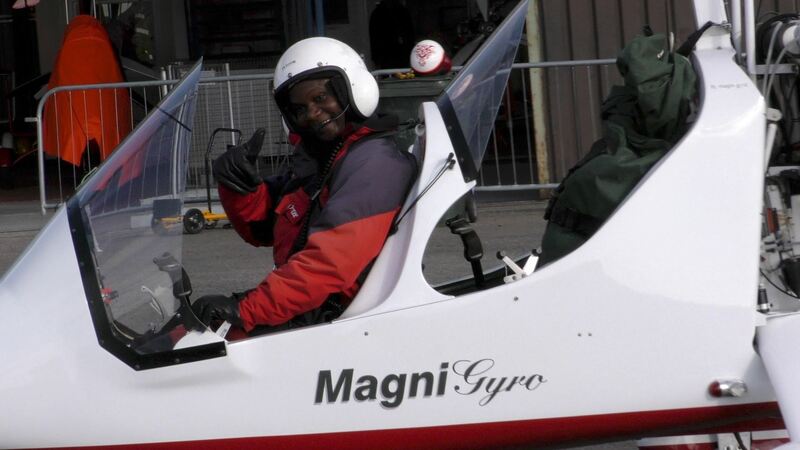 "This morning we couldn't be more proud or excited to announce that Captain Daniel Zuma completed his first solo flight in a Gyroplane at The Gyrocopter Experience York. I'm not sure who was more delighted - Danny or the Gyrocopter Experience team - Kati Hedger and Instructors Philip Harwood and Matthew Sellers . Congratulations Danny!" said a quote from the website of the flying school where Danny is training. This is no standard first solo. You guys have made it happen. Thank you for coming on board and sharing in this adventure.